A Jerusalem-based human rights group has posted a video showing Israeli soldiers apparently seizing and "dragging" an eight-year-old Palestinian boy, reportedly to receive a tip-off on stone-throwers at a nearby settlement. The IDF said the boy himself was a suspect. According to a report by the B’Tselem group, on March 19 the boy’s mother was visiting her parents’ home nearby and asked her son, Sufian Abu Hitah to collect his six-year-old brother from school and bring the younger sibling to the grandparents’ house. Both boys arrived at about 1:30pm local time, but the elder brother, Sufian, realized he’d lost a toy he’d bought along the way. His mother reportedly told him not to go looking for it, but Sufian sneaked out anyway. B’Tselem said the boy “was wandering barefoot outside his house in Hebron, looking for a toy he had lost,” when all of a sudden he was surrounded by at least 15 soldiers. “They [IDF soldiers] demanded that he point out children who had allegedly thrown stones and a Molotov cocktail at the Kiryat Arba settlement earlier on,” the group said on its website. The IDF has presented another version of the incident, saying the soldiers were not trying to receive information on stone-throwers from the boy, but rather suspected him of throwing a Molotov cocktail at a nearby settlement. "Forces who were called to the scene caught a suspect. Due to the fact the suspect was a minor, he was taken to his parents’ home," the army said in a statement, as quoted by the Times of Israel. "It was noted in the initial review that the forces did not ask the minor to direct them to any other suspects," the IDF added. 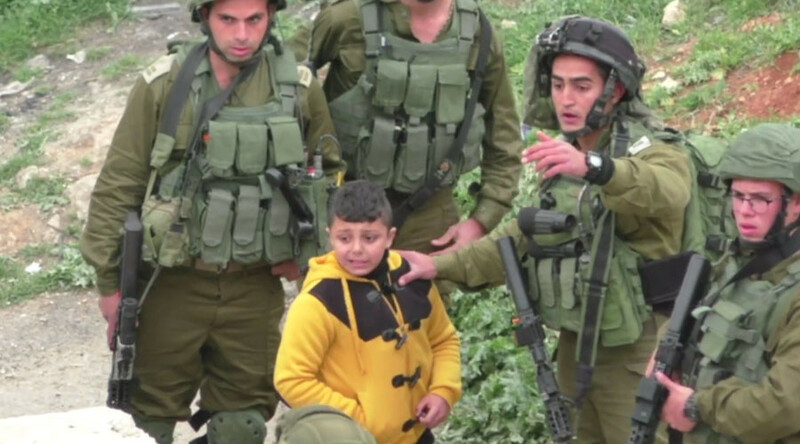 However, in the video the soldiers, who can be seen asking a passerby for translation help, are heard saying that the boy told them it was someone else who had thrown rocks, the Israeli newspaper added. The youngster “was crying and very scared” and “he tried to convince the soldiers that he didn’t know anything,” she said. Sufian’s mother also gave a testimony to the group, explaining what had happened when she went out onto the street to see where her son was. “I saw more than 15 soldiers surrounding Sufian. Two of them were holding him by both arms and dragging him towards the gate of Kiryat Arba. 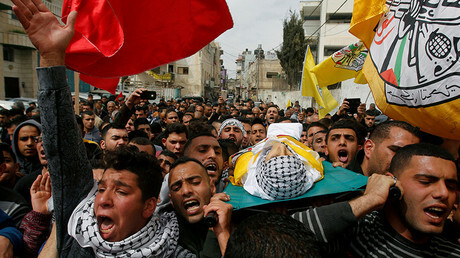 A few neighbors had already gathered in the street and were trying to rescue Sufian from the soldiers. The mother then started crying and ran after the soldiers, it is reported. With the help of the neighbors they managed to free the boy, more than an hour after the incident started, B'Tselem said.